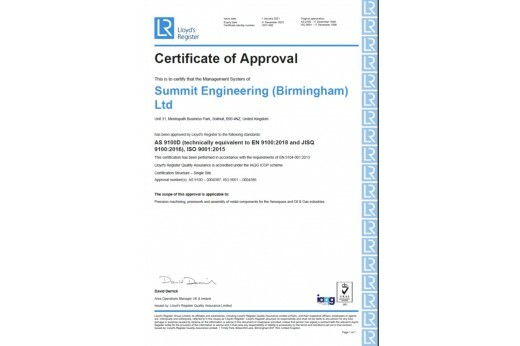 Summit Engineering (Birmingham) Limited is accredited to ISO9001 and AS9100 and registered with Lloyds, our commitment is to instil quality and continuous improvement in every aspect of our business transactions. 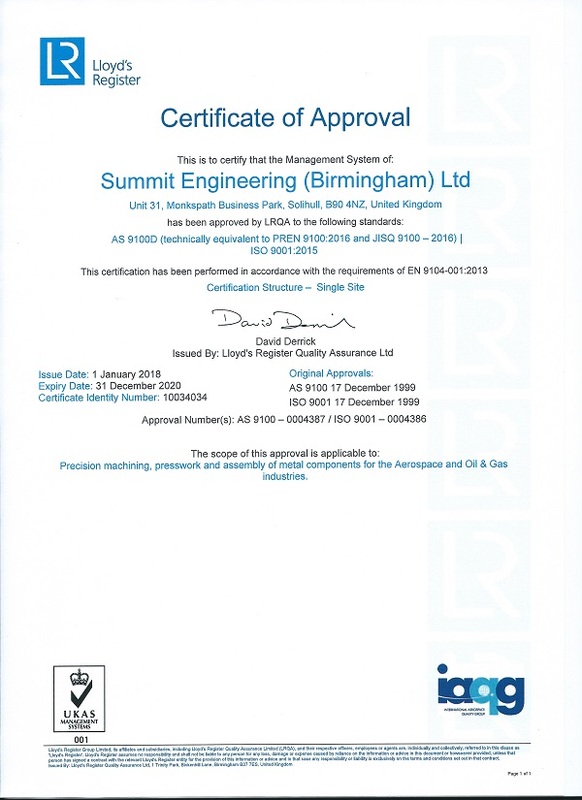 We striving for process capability, employee engagement and zero escapes, targeting right first time with a skilled workforce who develop, modify, measure and maintain our processes. Our inspection team support production with feedback on their individual process, provide advice and focus on drawing requirements all before that final product overview and shipment. Our reputation for developing a quality process and delivering a quality product is something we cherish and continue to work hard to maintain. Customer satisfaction for a job well done goes a long way towards helping us deliver that same service again and again.